ACD (Automatic Call Distribution) is a telephonic system that allocates the incoming calls to agents who use up particular group of terminals. Being a part of Computer Telephony Integration (CTI) system, it works as recognizing, answering and routing the entire incoming calls. The Automatic Call Distribution is very important things in any Contact Centre Solution whether this is inbound or outbound call Centre. Call Queue Management and call distribution as business need is main function. There can be various reasons to use ACD like different language options, as per technical requirement, different department, skill set. ACD range from small to large systems that maintain few lines as well as large numbers of lines for large applications. Aria Telecom is a supplier of automatic call distributor that precisely manages the whole incoming calls according to the numbers called and related database to manage instructions. Ours cutting-edge solutions suit to corporate houses, call Centres, small and big industries etc. Those corporations offering sales and service support generally utilize the ACD system to authenticate callers, forward calls to right clients, make outgoing calls, allow callers to record the message, balance the use of phone lines etc. Setting up of ACD by corporations is to route calls that are based on different factors such as identifying the number, availability of agent, time of day and expertise. It is greatly customizable and able to fit adequately in any small or large condition. The Automatic Call Distributor offered by Aria helps to deal with all configurations of each call queue within your system as well as tracking also the performance of both agents and particular queue. 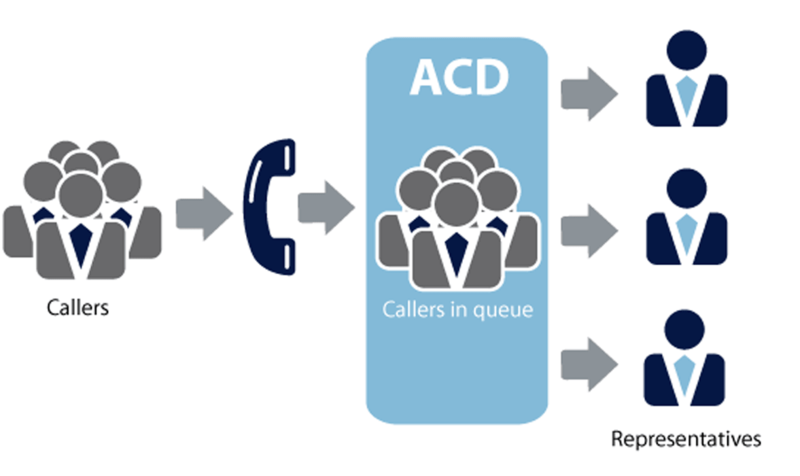 We offer totally advanced ACD along with automatic call distribution software to maintain up to ten queues with sixteen calls per queue and thirty two calls throughout the entire queues. This system is completely fit to your requirements and we are offering exact solution like automatic call distribution in Delhi and NCR to make available of better services to wide gamut of corporations.